Once the most popular flooring type, it used to be laid in the beautiful ball rooms of castles, as well as in the homes of royals and wealthy people. Nowadays, parquet flooring from oak is living its second life, fashion-wise, because this amazing, classic and very beautiful option is loved by many. The main culprit behind this is its natural solidness and elegance. Parquet flooring is, indeed, wonderful and delightful, which is why so many people have taken a liking in it recently, choosing it for both very classic and traditional, as well as for modern interior designs. In fact, parquet flooring matches, and could suit, almost every interior style in your home or workplace. You could use it to make bold, but in the same time, a unintimidating statement in every room. It could become a focal point of the entire interior style and setting. Furthermore, parquet wood flooring comes in a great variety of patterns and shapes you can choose from, allowing you to set your sights on the one that you will enjoy the most. Since it is made from real wood, there are no particular differences in looking after your parquet flooring and caring for your solid/engineered wood flooring. 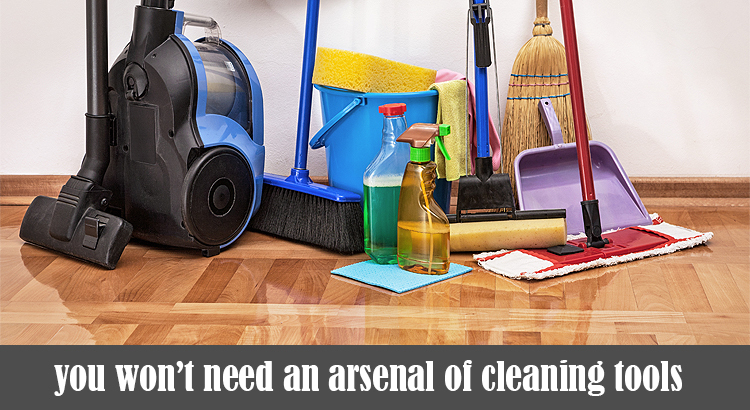 If your cleaning routine is regular, then it won’t be neither time- nor energy-consuming. Generally speaking, a weekly floor vacuuming is more than enough. If your floor is faced with a high load of foot traffic; is installed in a home with small children and pets with scratchy nails; is located in a commercial premise, then you might have to clean it more often. Do not forget to use the hoover attachment meant for hard floors. Otherwise, you’d risk leaving fine scratches on the finish of your floor. You can also use a broom with soft bristles to remove all the dust and dirt from your parquet floor, in order to avoid scratching up. When you see spills and fresh stains, you need to remove them immediately, otherwise you risk leaving permanent water damage and permanent spots that can be removed only by sanding or re-finishing. Otherwise, they could dramatically deteriorate the appearance and condition of your parquet flooring. In order to remove the stains and spills, be sure to use a dry or slightly damp cloth, carefully trying to remove the spill, starting from the outer edges to the center. Furthermore, if you want to add a more thorough and in-depth step to your cleaning routine, because hovering just doesn’t cut it for you, you can also occasionally clean your floor with a damp mop. Just make sure that you are using a cleaning product with a natural pH, specifically created for wood, otherwise you risk affecting the condition of the finish. Your mop needs to be damp only, do not use an excessive amount of water, and you shouldn’t clean patches of the floor with a really worn and damaged finish. Water, liquids and moisture, in general, are some of the main reasons for wood flooring issues. As you probably know, sanding and re-finishing are treatments that can happen a few times in the lifecycle of wooden floors. The sanding service consists of removal of the old and damaged finish layer on top, as well as a thin layer of the bare wood underneath when it’s damaged. 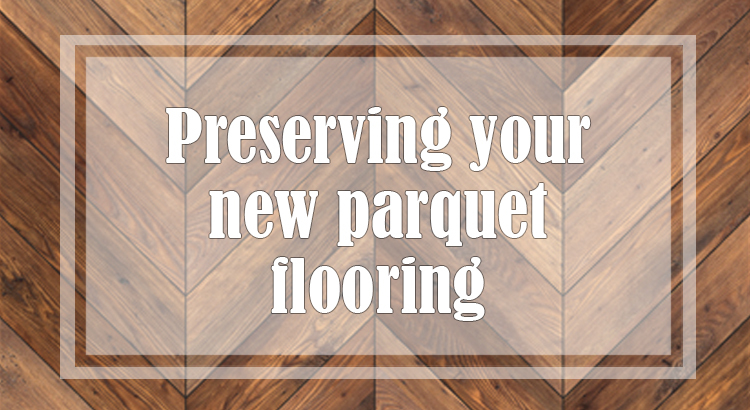 Depending on the age, condition, and thickness of the wood, your parquet can be re-sanded up to 5 times. Right after wood floor sanding, the pores of wood are open and it is the perfect time for the application of the new finish. When it comes to finishes, there really is a lot of choice when it comes to function and appearance. You can choose either high gloss or a perfect matt, it all depends on your personal preferences. Normally, high gloss finishes compliment parquet patterns very well, but this type of finish is pretty hard to maintain in tip-top condition. Main reason is that it does not conceal even the most miniature scratches. Generally speaking, parquet flooring is a bit of a hassle and rather stressful to sand. Unlike solid wood and engineered wood floors, parquet floors come in complex patterns, where each of the boards is fitted in a different direction, which is why they cannot be sanded straight-away. If you were to do that, the risk of sanding against the grain can’t be underestimated, as it can permanently worsen the condition of your floor. Because of that, when it comes to parquet floor sanding, hiring an experienced and knowledgeable professional for carrying out the job is necessarily. Josh Burner is a retired flooring specialist, turned blogger. After spending thirty-odd years in the trade, he is looking forward toward sharing his experience. He is more than happy to answer any and all questions related to the industry.